In this post , I will explain you step by step process to implement preferences in your code. Step 1: First of all you need to define Preference property in Composite.xml file. · Open Composite.xml file in source mode. · Add Preference property in inside Component section. Here I am using it for Email so my property name is "bpel.preference.Email", you can give it any name as per your requirement. Step 2 : Use this preference property inside BPEL. To use this property inside BPEL you need to use ora:getPrefernce("CustomName") function. Step 3: Update preference property value in EM console. 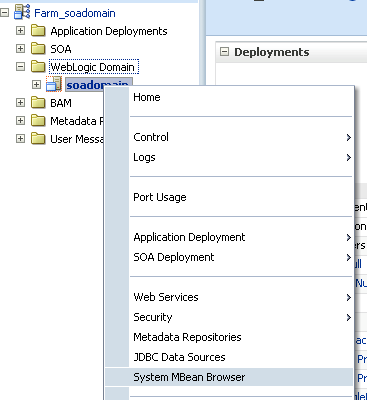 We can update this property from MBean Browser inside EM console. 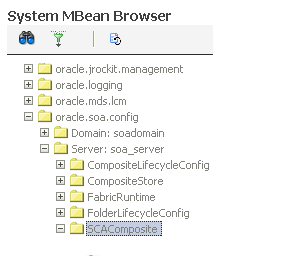 Navigate to "Farm_base_domain" -> "Weblogic Domain" folder -> Right click on your domain -> "System MBean Browser"
Then navigate to "SCAComposite.SCAComponent" -> your component name -> Click on "properties"
Now you can see all the preference properties that you defined in your composite. You can change preference property value here. Click apply to take effect.